I’ve addressed different options to host the code for your ecommerce site. In “Don’t Self-host an Ecommerce Store,” I addressed the risk and expense of owning and managing web servers. In “Cloud Hosting the Best Option for Stores That Own Code,” I reviewed the advantages, including flexibility and low cost, of metered outsourcing. There’s one negative aspect of those options, however: They require you to own the code that runs your ecommerce site. That can be a distraction from your core business of selling products and services, especially for smaller organizations. Thus another option is to outsource not just your hosting but also the code. This is what an ecommerce platform does. It runs, updates, and improves the software that powers your store — typically in a software-as-a-service environment, wherein the provider charges a monthly fee to use its platform. The rest of this article will not advocate one platform over another. There are hundreds of them. I have my favorites and if you’re in the space for more than four seconds, you’ll encounter other people’s favorites, too. Instead, I’ll provide a broad overview of ecommerce platforms and how using them compares to running your own servers. ◈ No hosting or server worries. The first, most oblivious benefit with a platform is that you avoid servers and hosting. You would presumably pick a plan with your platform based on the size and overall activity of your store. But you don’t need to worry about servers and how much power they need. The platform does this all for you. ◈ Limited security risks. Similarly, a platform will take care of most security concerns. This might sound minor. But when a single security glitch can cost millions in damages and potentially threaten your entire organization, having security taken care of is a major benefit. Depending on the platform, you might need to handle some security updates yourself, such as those for custom code. This is a small risk, though, versus being responsible for an entire set of servers. ◈ Many features. Platforms are usually full of features. Once you sign up you can start using all of them. This is a nice contrast to entirely custom systems wherein you might wait months or years to develop new features. ◈ Easy scalability. Since the platform company is running the code, it also accommodates traffic spikes and the general scaling up of capacity when needed. More capacity may require an upgrade to the plan, but that’s simple compared to figuring out how to add additional servers. For example, in the recent Black Friday 2018 weekend, an ecommerce site that I manage experienced four-times the normal traffic. The site was using a large, hosted platform. It took roughly 30 minutes and a few clicks to upgrade the account to handle the extra traffic. ◈ Limitations on custom features. The primary disadvantage of a hosted ecommerce platform is the limitation of custom features. All platforms add features over time. But if you need a custom or non-standard enhancement, you will likely have a difficult time in convincing the platform to add it. Sometimes platform may add, say, 80 percent of what you need — but you still need the remaining 20 percent before you can take advantage of it. One workaround of the custom-feature limitation is the use of application programming interfaces. Sometimes APIs will provide the capability to add the custom features you need. Even if you need to rent a server just for that custom feature, it’s better than having to run an entire custom store. ◈ Higher cost, maybe. The cost of using third-party platforms sometimes appears higher than self-hosting. That’s because the cost of the platform is all-encompassing — hosting, software development, customer service, and profit for the platform owner. Moreover, platform fees include a lot of indirect costs (and headaches) that you might be missing. ◈ Non-standard stores. An ecommerce platform might not be a good fit if your store has a non-standard business model — such as exclusively flash sales or it’s entirely a marketplace of buyers and sellers. ◈ Heavy reliance on customer support. Using a third-party platform means you will likely rely on its customer support personnel. Even if you are assigned dedicated staff, you’ll still have to depend on their expertise. Thus, before migrating to an ecommerce platform, contact its support department. Learn how it responds to requests. Given the wide variety of platforms, it’s useful to have a list of simple criteria. A platform could make sense for your business if any of the following are true. ◈ Getting started. 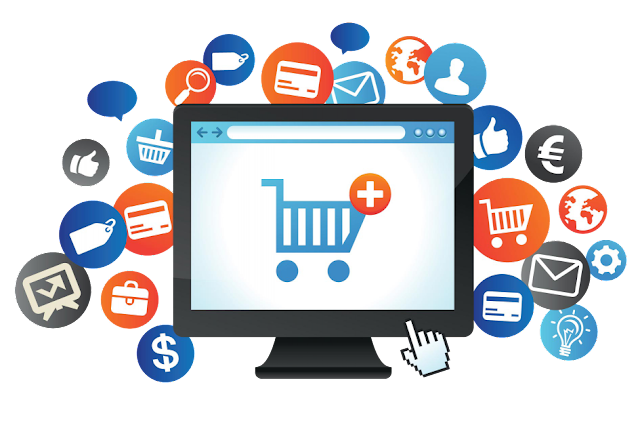 A platform is typically a huge help for new merchants. You might outgrow it later, but you can learn a lot in the early days. ◈ No developers. A platform can help avoid hiring or retaining web developers, which can be expensive. ◈ Irregular traffic. This could be from media appearances or events. Platforms can typically absorb traffic spikes easier than self-hosted solutions. On the other hand, a platform would not likely be a good fit if the following are true. ◈ Non-standard business model. You could ask a platform to accommodate your model, but it might cost too much and take too much effort. It can be difficult to migrate away from a third-party platform, but it is possible. As long as you can access your store’s data, you likely can take it anywhere.